Some of the factors that can make a restaurant equipment store to stand out that as a potential buyer you should be on the lookout for include:ement that may arise from buying substandard equipment. This includes a well-designed website, a visible social media presence that is interactive and well run and even a buy online option. Having such amenities available online not only indicates that the store is properly managed but that it also puts in a lot of effort in ensuring that they reach a wider audience efficiently. A visible online presence also makes it easy to deal with the company as most of their dealings are in the open, for any interested person to see, including customer reviews. The only thing that is better than finding an affordable store to buy restaurant equipment is finding one that can supply a majority of your requirements. This is because you won’t have to go through lots of stores in search of different items which can be cumbersome considering the fact that restaurant inventory is mostly bulky. A one-stop-shop is a factor to look out for. Because buying restaurant equipment involves lots of purchases at one go, having a store that will offer deals and incentives for such kind of spending is a good thing to look for. These offers can also include discounts after a certain amount’s worth of purchase. Having such promotions running will enable you as a buyer to find great deals and save a lot of money. Buying from a restaurant equipment store that has invested in quality after-sales care will also help you in case of any issues that may arise from any item purchased. While no service provider aims to sell faulty equipment to their clients, there is always a chance that products may develop unexpected problems in the course of use. Having a supportive service provider in such a case will save you unnecessary headache and hassle. Restaurant owners make lots of purchase regularly. For this reason, a restaurant equipment store that has some kind of loyalty program for its returning customers is bound to stand out from the others. This can only work if the store offers quality equipment and services. With this in mind, looking out for such a store will work in your favor in the long run, especially if the loyalty program comes with benefits. 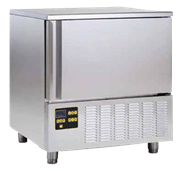 At Chef’s Deal Restaurant Equipment, you are assured of getting the best quality equipment and services. In addition, you will have a wide range of products to choose from at affordable rates that will make you come back again. We have made it our business to make the process of running your restaurant easy as ABC.